(CNN) On Tuesday, James Clapper, the former Director of National Intelligence, went on “The View” — weird, right? — to talk about President Donald Trump and the intelligence community. 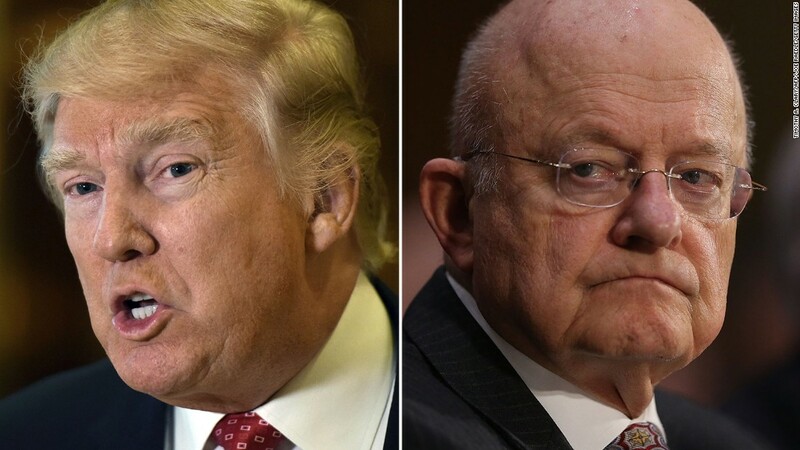 Clapper did the exact opposite of what Trump is saying he did. Literally. Clapper said that the FBI didn’t spy on the Trump campaign. He said that the only information gathering that happened with the confidential source was related to Russian interference. We know that the confidential source spoke to George Papadopoulos and Carter Page, two Trump advisers, only after the Justice Department had reason to believe they had been in contact with Russians. The intellectual dishonesty here is almost beyond calculation. Any honest reading of the entirety of what Clapper said — and you can read the whole quote in about 15 seconds! — makes clear that a) Clapper doesn’t believe the FBI was spying on Trump’s campaign and b) the information gathering being done by the FBI’s confidential source was aimed at Russia and designed to protect Trump and his associates, not to mention American democracy more broadly. There is simply no other conclusion that can be drawn from Clapper’s quotes. This isn’t a “many sides” issue. There is the side that’s accurate and the side that’s inaccurate. And the President of the United States is in the latter camp.